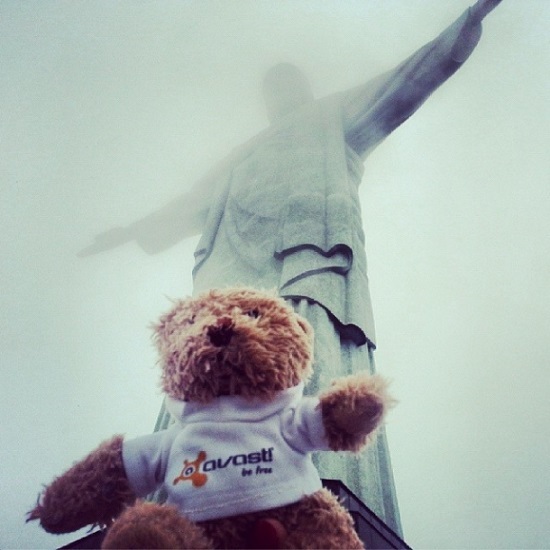 AVAST (teddy) has conquered Brazil! Brazil is the only Portuguese speaking country in both South and Latin America. It is also fifth biggest country in the world, according to its geographical size and in terms of population. Brazilians represent a fascinating ethnic and cultural fusion, influenced by indigenous, European, African, and Asian cultures. With the upcoming World Cup in 2014 and the Olympic games in 2016, Brazil has become a center of interest from the economical and touristic perspective. For AVAST Software, Brazil is the most important market. 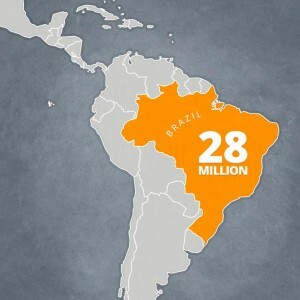 An incredible 28 million users (over 10% of entire population!) use avast! Antivirus to protect mobiles, notebooks, PCs, and Mac computers. avast! Free Antivirus is well recognized, popular and a much-loved brand in the country. For me personally, Brazil was always a country of very friendly people, beautiful language, fantastic music (samba, bossa nova, forro), and fascinating cultural mixture. It was always on my traveling A-list. I finally took the opportunity, and the avast! 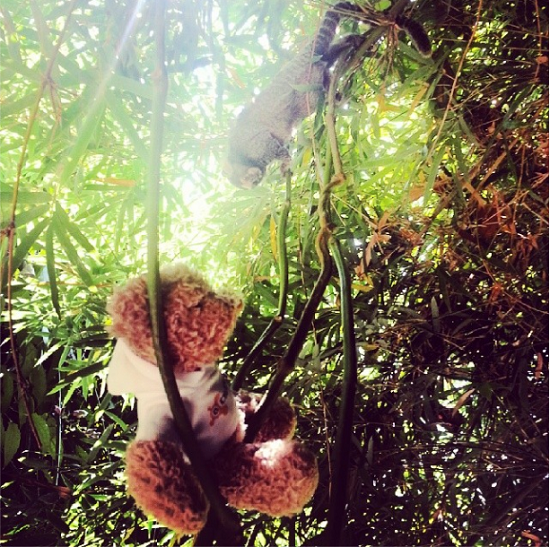 teddy bear :), and went on my dream trip. We started our tour visiting the most popular site in Rio Corcovado. One of the World's Seven Wonders, Christ the Redeemer was however hiding in the clouds. It didn't prevent our avast! teddy from enjoying it though! The gorgeous Botanical Garden in Rio hosts thousands of exotic plants and animals. One of them was curious Macaca, who definitely became friends with the avast! teddy! Brazil has nearly 7,500 km of coastline! 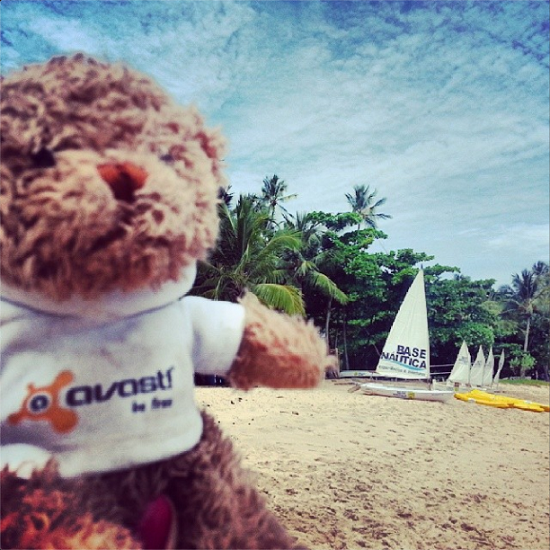 It's paradise for water sport, surfers, simply beach lovers, such as avast! 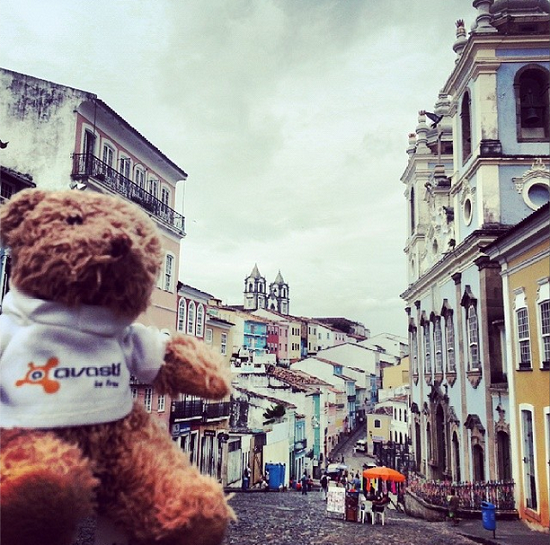 teddy itself..
Pelourinho: Historical center and pearl of the Bahias's capitol, Salvador. With its beautiful colonial architecture, Salvador represents rich Afro-Brazilian tradition. 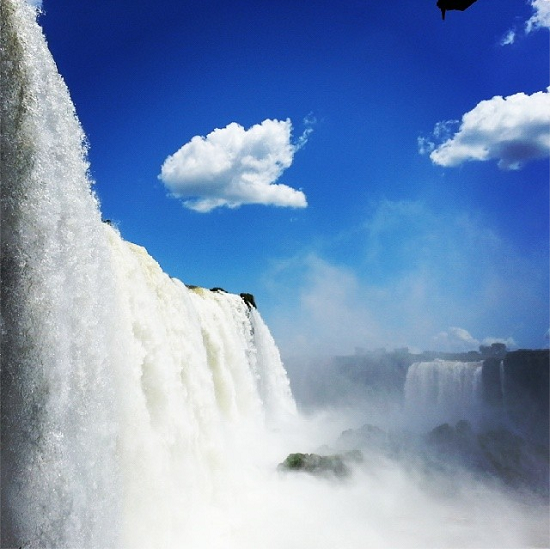 Last, but not least, from my collection, breath-taking waterfalls of Iguaçu on the border with Argentina! This year, avast! Antivirus will give you several opportunities to win an avast! teddy of your own. Make sure you follow us, so you'll know when. We'd love to see photos of avast! teddy in your country.